sporting events or enjoying other outdoor activities? But planning for outdoor events is a lot of work! 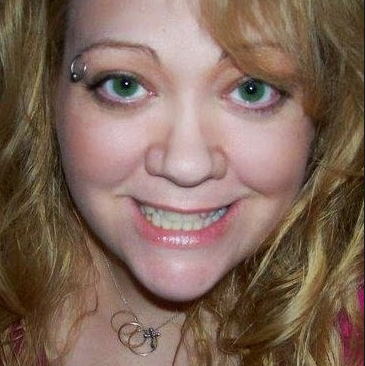 The last thing you want to worry about is what everyone is going to sit on! "I'll bring my own blanket or towel"
made for the outdoors and they aren't waterproof. friends and family won't like you very much if they have to do this. about what to sit on and make you the hero of any outdoor activity. ✔ Is extra large measuring 60" x 80"
✔ Folds down to a portable size of 10" x 16"
comfortable at your next outdoor event. Supplies are limited so don't wait! 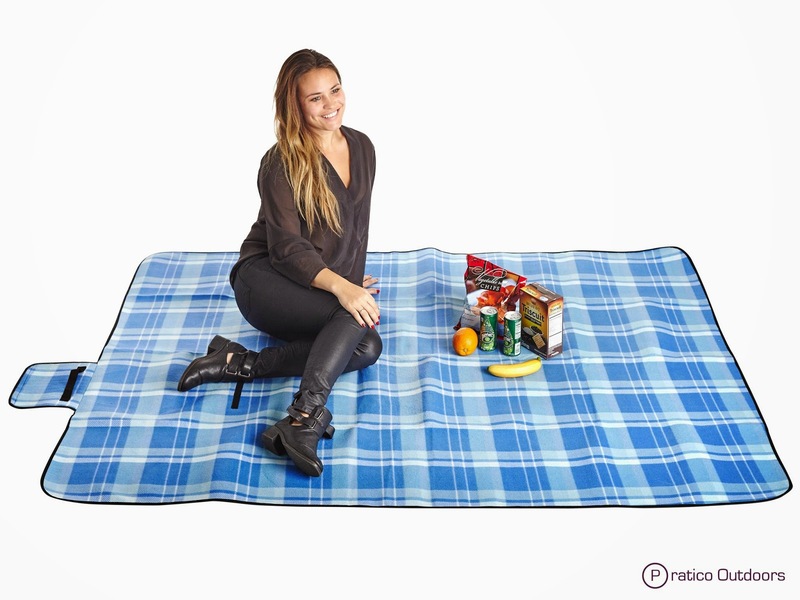 I was happy to get to try this Extra Large Picnic Blanket by Pratico Outdoors. 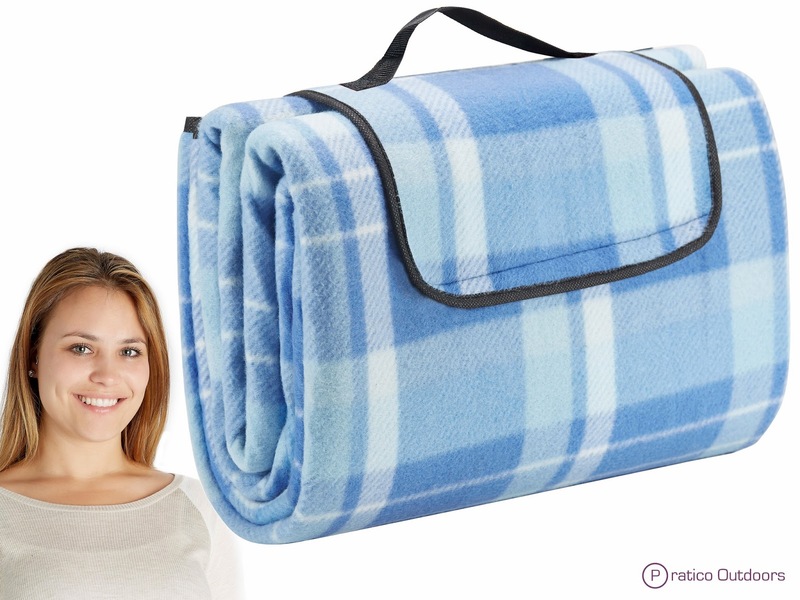 This outdoor blanket is even better than I expected! 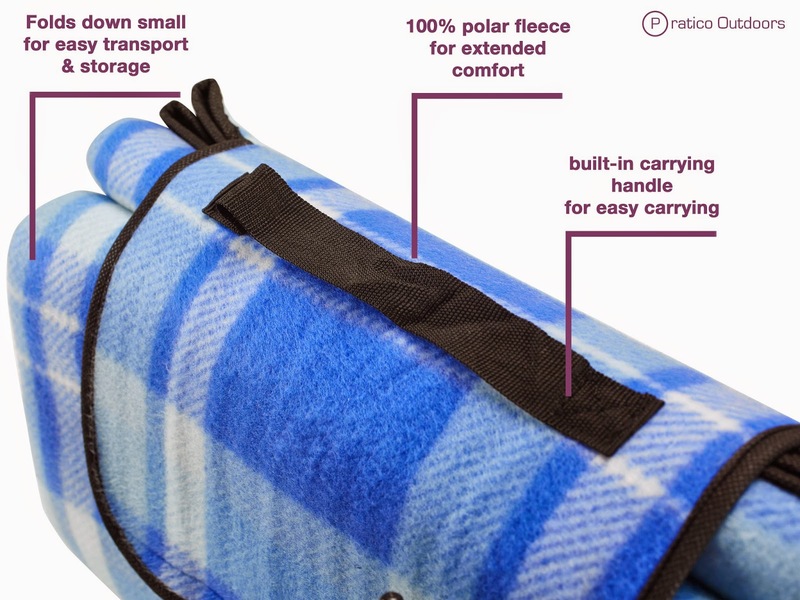 It is perfect for any outdoor activity where a blanket is needed. I love that it has a waterproof backing. It is very well constructed. I really like that it can be folded up quickly and rolled up and secured by the velcro flap and carried with the built in handle. 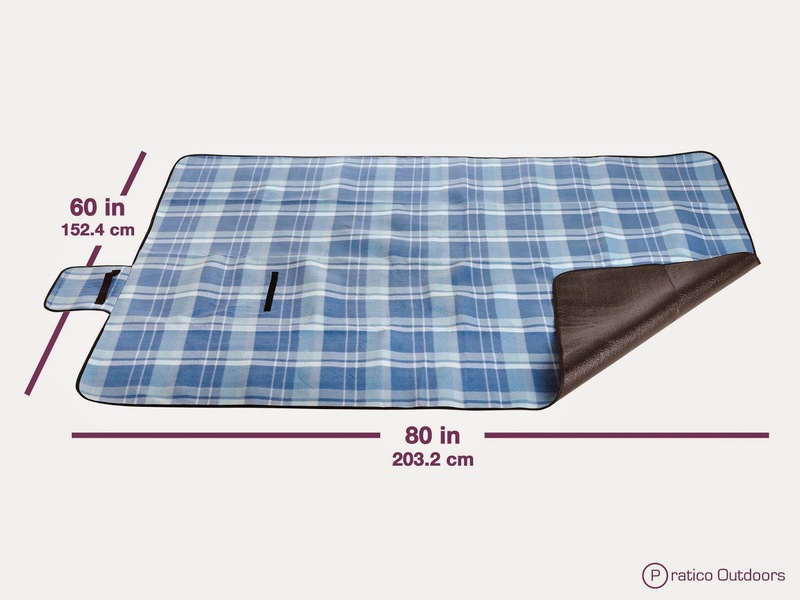 The size of the blanket is quite large and able to fit all 5 of us while sharing a picnic at the park or sitting on the beach. 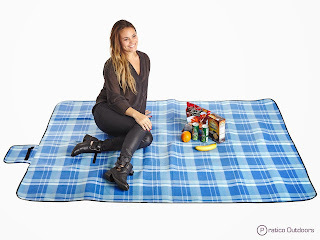 I think this outdoor blanket is fabulous and my family will be using it for years to come in all our outdoor activities. I recommend it for picnics, the beach, camping or any outdoor activity.